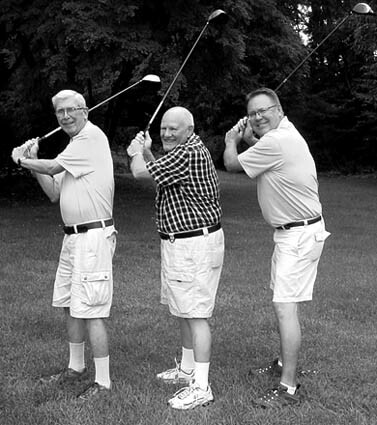 Friday, Sept. 16—CASTLETON—Members of the Castleton Community Seniors Golf Committee Don Woods, Jeff Larson, and Al Gustafson invite all golfers to the 12th annual Community Center golf outing at Lake St. Catherine Country Club on Friday, Sept. 16. All proceeds support the Community Center elderly and disabled transportation program. There will be a $10,000 hole-in-one-contest and prizes for low gross, low net, longest drive and closet to pin for both men and women. For information call 802-468-3093.